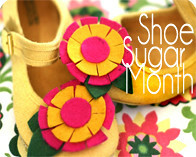 Grosgrain: JulieBell Vintage Belts Guest Giveaway! CLOSED. 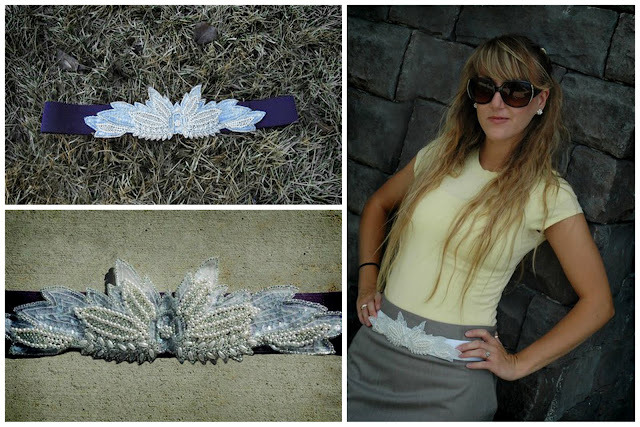 JulieBell Vintage Belts Guest Giveaway! CLOSED. I'm totally smitten with belts. Worn around a cardigan, over a dress, around a blouse, they are the coolest way to 'spice' a tired look. Seriously, some belts really 'make' an outfit. 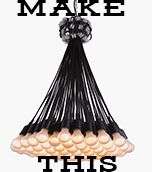 JulieBell creates some fantastic accessories to add a little kick to your tired wardrobe. She's been gracious enough to offer two of her fantastic belts to two lucky Grosgrain readers.All the belts are about the same size and have a pretty beaded applique in front. 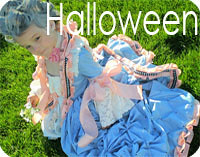 Fits waist size 25 inch-42 inch, you can wear it high on your waist, or low on your hips. Elastic belt is 1 1/2 inch wide. These are amazing! I really need some more belts for my waist - I only have one and I don't want to end up wearing that one whenever I want to polish off an outfit! I love belts! Thanks for the giveaway! Beautiful and feminine... thanks for the giveaway! How cute! I love the blue and silver one! What a cute idea. Right now I only have basic belts for my jeans, so a pretty one would be nice. Cute! Everyone can use a cute belt. wonderful! the bows are so cute. These are great! Thanks for the chance to win. What a way to finish off an amazing outfit. 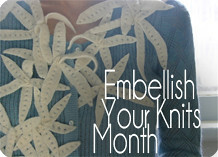 Also created a link on my blog! I've been on the hunt for some cute belts, as the few I have are very plain and only fit around my hips. These belts are too cute and would be ideal. Thanks for the offer! I love these belts! So cute! These are gorgeous! I hope I win! these are awesome!!! thanks for this opportunity! As an aside, I am NEVER sure where to check/how to find out if I've won one of your giveaways... Help! Really lovely belts. Belts have become my go-to accessory in the past year for accenting my waist and generally changing the look of an outfit. Es un cinturón precioso. Gracias por la oportunidad de participar. I love belts!!! And always on the lookout for a unique one, I hope to be one of the lucky winners.. These belts are super cute. I'd love to win! these belts are so great! definitely an easy way to dress up an outfit!! these are so gorgeous! They would spice up all my outfits! Hope you pick me! I love belts so much! Such a fab idea!! I need to get more belts, they really DO make an outfit! these are SO adorable, and what an awesome idea! These belts are so adorable! Thanks for doing this giveaway! Fantastic belts! They would be darling with jeans or skirts. Thanks for the great giveaway! yay! i totally need this! Wonderful, I would love to win. Such cute belts. i really love the lace detail on the second one! how pretty they both are! These belts are fabulous! My daughters would love love them..and because they are just too cute to pass up I just might wear one myself. I can't believe I missed this one when it came out! 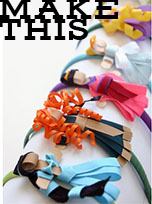 These belts are adorable and I am definitely blogging about it too. I love, love, love the belts! These are great belts! Thanks for the lovely giveaway. Gosh these are sunning even more so then most vintage ones you come across these days. Me wants this belt so badly. 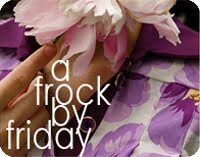 I am in love with your frocks, you rock! 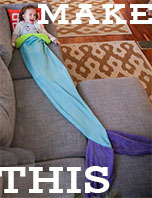 I love this- I love everything on your blog sooo much!! Gorgeous gorgeous gorgeous. Thanks for the giveaway!!! I would love to win one of these beautiful belts! These belts are awesome. I love your giveaways. 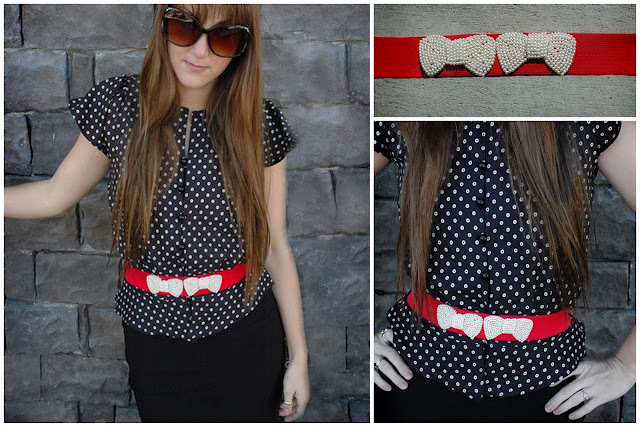 I love the belt with the 2 bows on top of each other! So cute! Did you know that the link created points to the State Fair Frock giveaway? I just checked it from my blog and thought it was an error so created a new link and the same thing happened. I love the belts! I especially like the look of wearing them at the hip. They really do spice things up! I adore the blue belt so much! enter me. i really need another belt and i linked almost all of your giveaways in my blog. belts are the best accessories to have.I love the red one! These belts are so gorgeous! I absolutely love belts, but only have a couple so this would be great! wow these are so unique and cool! Belts are great and I don't have but one. This would be great! 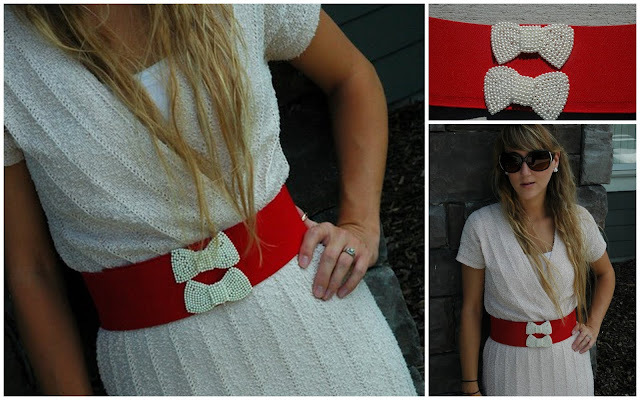 I love the bow belts, so pretty! I am desperate need of belts, would love to win! I love these! Especially the beaded bows! These cute belts will make any summer dress even more special! Soo cute! Just what I need to dress up a few of my outfits. Really beautiful belts! Thanks for the giveaway. Aw cute! I could use a new belt. So cute! Thanks for hosting all these great giveaways! cuteness!!!! what a fab giveaway! I love the one with the bows. Wahou!